Cartier is a French manufacturer of jewelry and watches founded in 1847 by Llouis-François Cartier. The corporation has the name of the Cartier family, who are knew by create many famous pieces, including the ‘Bestiary’ diamond and the first wristwatch, named ‘Santos’ in 1904. 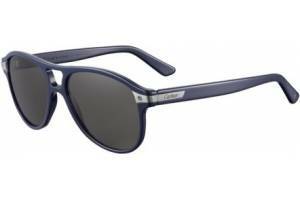 Cartier sunglasses are a great leader in design and luxury materials. Decades of French jewelery tradition are condensed in an accessory which in itself is a unique piece of fine jewelry. Materials such as ruthenium, titanium, leather or gold are crafted by artisans to create Cartier models, which have very elegant and sophisticated designs. Cartier C-Decor Wood Carvi, Lady Trinity Emma and Cartier Panthere Pilot are good examples of the luxury of Cartier.